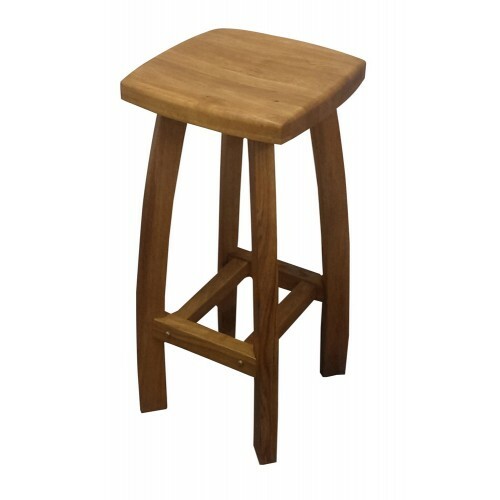 Solid oak bar stool with contoured seat and curved legs, built using solid oak throughout with a light oak stain and an oiled finish. Ideal for the kitchen and around the home. 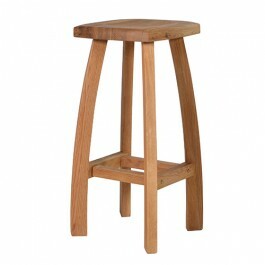 Have searched for a good quality oak stools for breakfast bar in new kitchen. 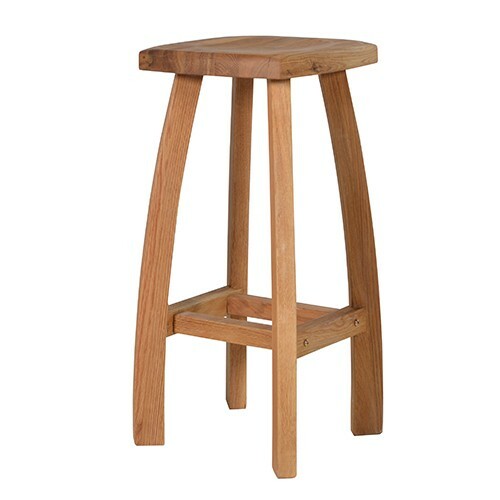 Oak bahamas bar stool fits the bill perfectly, good quality and excellent price . Only difficulty was putting it together. Important to fit legs to seat before tightening bolts as otherwise will not be able to place in indentations in base of seat. 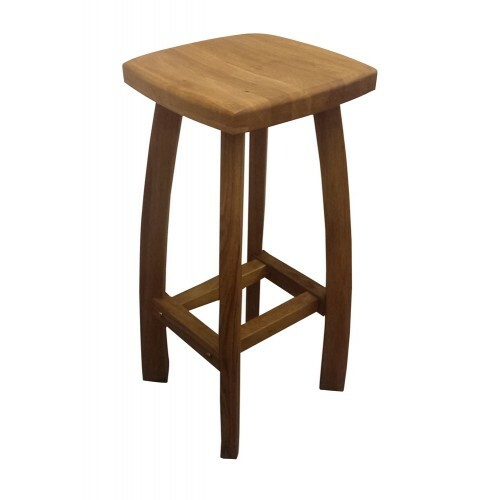 Really pleased with the 2 stools we ordered, fast delivery, easy to put together, look great.. Am going to order a third stool now! 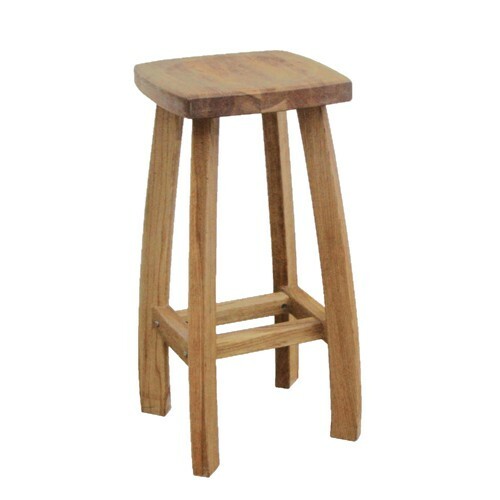 I would highly recommend this product - I searched for these stools and this company were cheapest but the quality does not give this away..
Bar Stools are solid, beautiful and excellent value for money. 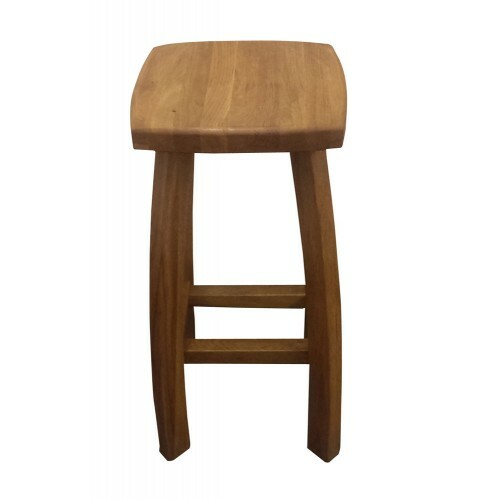 We live in the south west of France in the Dordogne and ordered 4 of these stools to finish off our new kitchen around the breakfast bar area. They were ordered on a Monday delivered to Sterling shopping ( a company that delivers to all areas of France from UK stores and supermarkets weekly) by Dooley's on Tuesday and we collected them from a local drop off point Thursday just 30 minutes from home.